You could easily get confused or overwhelmed about e-cigarette and accessories if you're a green hand in vaping. Because there is a lot to take in, from box mods to pen vapes, coils to tanks, variable wattage to temperature control. Don't be worried, let's figure out the basic problems one by one. E-juice is an indispensable device for e-cigarettes. Mainly , there are three varieties of e-juice: NET (naturally extracted tobacco) and artificial tobacco flavors, fruit and herbal flavors, and drinks and food flavors. Divided in 0mg, 3mg, 6mg, 12mg, 24mg, 36mg and 48mg, the different nicotine levels in e-juice make different feeling on your throat. Getting the right amount of nicotine is essential to your transaction to vaping. Many objective factors will change the mouth feel of e-juice, even you use the same liquid. For instance, different production batch of e-juice will have different mouth feel, and different ways to use e-liquid, like stirring and heating, will also create different mouth feel. Actually, the retention period of e-juice is generally 12 months. If it is completely sealed, you can continue use it even beyond 12 months. E-juice should be stored in a cool, dark place. Many vapers may encounter the situation that it tasted a little bit of sweetness at the beginning of your vaping. The reason for that is you put too much e-juice and you inhale it directly. You should avoid filling too much e-juice into atomizer. These are the most common problems that many e-cigarettes beginners will be easily confused. Hoping this passage will smooth your vaping journey. 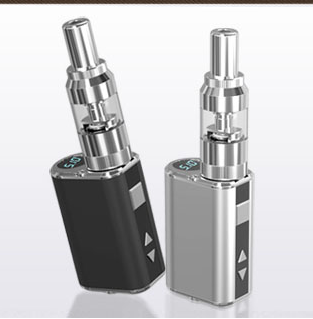 You can learn more about e-cigarettes on Eleaf® iStick E-Cigarettes Vape Online Store.